The Argentinian national soccer team has canceled its friendly game that was scheduled to take place in Israel. Horrified by the killing of unarmed protesters in Gaza, the Argentinian soccer players realize that coming to a game in Israel, and especially to Jerusalem, at a time when the move over the U.S. embassy to Jerusalem is such a hot topic would be interpreted as an implied endorsement of Israeli actions against Palestinians. Claudio Tapia, president of the Argentine soccer association called the cancellation a contribution to world peace. Reaction in Israel to the cancellation range from disappointment to outrage, from panic to gratitude. Now Palestinian solidarity activists around the world are calling this possibly the greatest achievement of the BDS movement. That is, the Boycott Divestment and Sanctions campaign against Israel. Now, Israeli Minister of Culture Miri Regev is at the heart of this story. She demanded that the game be moved from Haifa to Jerusalem to make a political anti-Palestinian statement. She’s also accused of arranging for two thirds of the tickets of the game to be reserved for her and her supporters. And she is demanding that a handshake between her and the famous player Lionel Messi be a part of the contract which the Argentinean team would have to sign. Now, after Argentina announced-. Argentinean players and the team announced that the game will be canceled, Minister Miri Regev held a press conference, and here’s what she said. MIRI REGEV: Don’t be confused. This is not a BDS event. These are real threats. Threats of a star. Threats of terror organizations against the life of a soccer star and his family members in an attempt to hurt and foil international events in the country. SHARMINI PERIES: On to talk about all of this with me is Daoud Kuttab. He is an award-winning Palestinian journalist and former Ferris Professor of journalism at Princeton University. He’s a columnist for Al-Monitor and director of the Community Media Network in Amman, Jordan. He is also a member of the executive board of International Press Institute, based in Vienna. Thank you so much for joining us today, Daoud. SHARMINI PERIES: Daoud, let’s start with Jibril Rajoub, the head of the Palestinian soccer association. Now, the Israeli government accuses him of terrorism for his calls on the Argentinian team not to play in Israel, and in Jerusalem in particular. What did he actually do to convince the Argentinian team, and why, and who is he? DAOUD KUTTAB: Well, the Palestinian team sent letters to all the World Federation, the members of the FIFA world soccer body. And their feedback had a very strong element that it should not mix politics with sports, and sports must be apolitical. But when the Israelis made this particular game a political one, moving it from Haifa to Jerusalem right after Netanyahu and Trump made the move to Jerusalem, that became political. 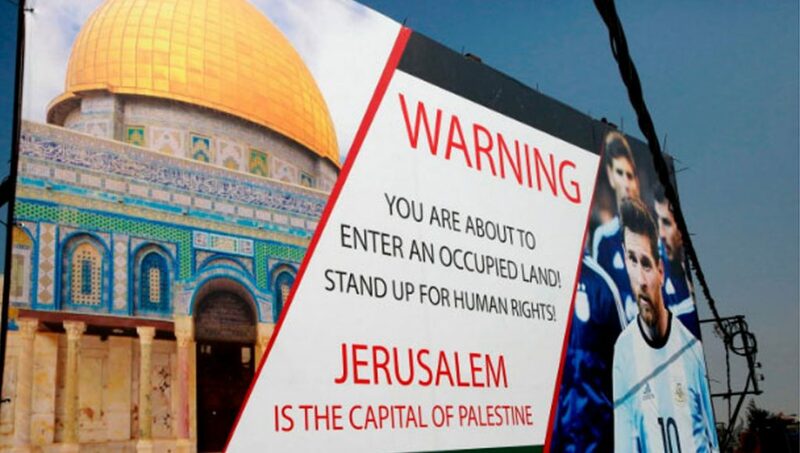 And I think the Palestinians said this is a violation of a FIFA agreement that teams should not use games for politics. SHARMINI PERIES: All right, Daoud, how is this decision by the Argentinian team getting played out in Israel itself? What are the people saying, what are the players saying, and what are the Palestinians saying? DAOUD KUTTAB: Well, the Israelis are going nuts because they they’re not used to people standing up to them. And the international world, there were people around the world who are sending messages to the Argentinian team. And in Argentina itself there was a lot of pressure on the team not to go. And the Palestinians also said that if the team continues in its decision, they will not support the possibility of Argentina hosting 2030 World Cup. So there was a lot of pressure on Argentina to withdraw its decision, and I think in the end Palestinians are quite happy that they succeeded in stopping this particular game. And the Israelis, as I said, you know, are really not able to accept that the world doesn’t like that they are occupying somebody’s land. SHARMINI PERIES: And, now, the Israeli officials are quick to say that this had nothing to do with the BDS campaign. Do you think it’s because of the BDS campaign that the Argentinian team pulled out of this, and the consciousness that the BDS the movement is raising around the world? DAOUD KUTTAB: Well, you know, victories have plenty of fathers, and defeats are orphans. So lots of people are taking credit for this, certainly the BDS, which is a nonviolent movement, despite the Israelis trying to say that they use terror and scare people. They’ve not been ever accused of doing anything of the sort. They did use a peaceful, nonpolitical method to put pressure on the Argentinian team, and they succeeded. And it was a collective effort. The Palestinian government and its embassy [inaudible] was active. The Palestinian football team was active, BDS and its supporters were active. So many groups were involved in making these decisions. SHARMINI PERIES: Now, getting back to Jibril Rajoub. Now, I understand that he is part of the ruling party, the Fatah party in the occupied Palestinian territory. And it is, many people speculate that he is perhaps in line for taking over from President Mahmoud Abbas if he retires, or if his health condition deteriorates. Now, tell us about who he actually is, and the role he’s playing in the Fatah party. DAOUD KUTTAB: Well, Rajoub is a leading candidate for Mahmoud Abbas’s position. You know, Abbas currently has, like, two or three positions so it might be distributed between different candidates. One would take the PLO chairmanship. Others might take the presidency of the Palestinian Authority, and a third might take the leadership of the Fatah movement. And so Jibril might take one of these positions. He is a man who came from a family in the Hebron area, poor family. He was imprisoned for 15 years, and he was deported. He was exiled by Israel in the First Intifada, came back and helped set up the Palestinian security forces. And then he decided he wanted to run the Palestinian Football Association, and he brought the ranking of the Palestinians to a very reasonable, very kind of high ranking. I think they are 84, even ahead of the Israeli Football Association. And of course football is very popular, and that helped his political career. But he tries very hard not to mix politics with sports. But he does have a political aspiration to have a role in the post-Abbas era. SHARMINI PERIES: All right. Now, I understand that a lot of people in Israel, particularly pundits on television, speculate that if the far-right Israeli Minister of Culture Miri Regev would not have insisted on moving the game to Jerusalem, maybe the Argentinian team would have come, they would have played, and this whole affair wouldn’t have become a national spectacle in the way it has. And now the game being canceled is rather embarrassing for them. What are your thoughts on that? DAOUD KUTTAB: Well, it’s not just speculation. Jibril Rajoub himself publicly told Israel Times newspaper that when the game was in Haifa, the Palestinian Football Association did not protest, and was willing to defend the Argentinians to play in Haifa. It’s only when the Israelis moved it to Jerusalem and wanted the game to be part of their 70th anniversary, and wanted Netanyahu to shake hands with Messi and make a political statement out of it after the U.S. alone made the move of their embassy from Tel Aviv to Jerusalem, that’s when the Palestinians got angry and said this is their politicized game, and they started protesting it. 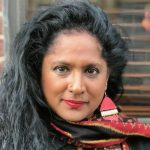 SHARMINI PERIES: Daoud, I guess a lot of this about BDS, and what is going on in terms of, of course, the entertainment, the cultural, the music festivals, now sports all bring back to us the memory of the apartheid in South Africa, and how the international boycott of South Africa was very effective in ending the apartheid there. And people are hoping, aspiring to create the same kind of international attention on what is going on in Israel-Palestine, Gaza in particular. Do you believe it will rise to the same stature as the and be successful in being able to end the apartheid in Palestine? DAOUD KUTTAB: It is the high hope, and it’s a very kind of difficult challenge, because, as you remember, the, the big event in South Africa was when teams started boycotting the rugby team in South Africa. So the actual sports analogy is quite interesting, and the boycott of the Israeli football game by the Argentinians I think sends a shock wave to the Israelis. And Palestinians and their supporters are hoping that this nonviolent act of sanctioning and not cooperating with Israel will produce results. Unfortunately, the Israeli/pro-Israeli groups around the world are much stronger than the anti-apartheid groups were in South Africa. But there certainly is a movement, and it’s certainly among young people quite popular to call things by their names, and to call what Israel is doing actually a war crime, because apartheid is what’s happening also on the West Bank, where are separate laws, separate roads, separate electricity bills to Jewish settlers for the vast minority, compared to the Palestinians. So there is a lot of similarities and there are some differences. But certainly using nonviolent means is a challenge, and for it to bring results, like the game of Argentina, like Shakira removing, or refusing to play in Tel Aviv. The LGBT Film Festival is also being boycotted by many, or Israelis are trying to whitewash their occupation by using issues like that. So there’s a lot of things happening, but will it produce the kind of change in Israeli policy, we have to wait and see. SHARMINI PERIES: All right. Daoud Kuttab, I thank you so much for joining us today, and looking forward to having you back sometime soon.